If you’re having trouble planning a romantic night out for Valentine’s Day, Netflix has some news that might persuade you to stay in tomorrow. On February 14, the streaming platform will release a new stand-up special from Chris Rock, his first in 10 years. 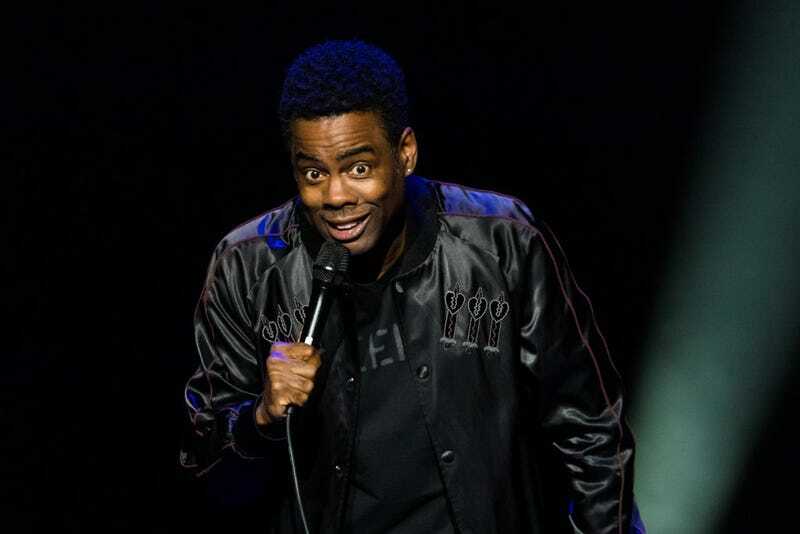 Chris Rock: Tamborine is the first of two specials the legendary comedian signed up for back in October 2016 as part of a $40 million deal with Netflix. It’s also the subject of those tambourine videos you might have seen on social media in the last couple weeks (so much for those Choose Your Own Adventure theories). Tamborine was directed by Bo Burnham, whom we recently saw in The Big Sick, and was filmed at the Brooklyn Academy of Music. There’s no teaser for the special yet, but we can expect Rock’s signature mix of cutting humor and social commentary. Rock’s last stand-up special, Kill The Messenger, debuted on HBO in 2008 and won two Emmys.